Red Hot Stampers: OnStage EXCITEMENT and a class for you! Spring has sprung and it honestly feels like summer here in Houston! We are counting down the DAAAAYS until we can sleep in and spend lazy days at the pool! Spring Break gave us a little taste of vacation and it has been SO hard getting back to life! So hard that I'm escaping for my own little retreat this weekend. Sorry kids. So what exactly is OnStage? This November, the event will be held downtown Salt Lake City, UT which is exciting for me since I grew up there! Do you want to go with me??? Join my team now and let's make a plan to get you there! I can't wait to show you around my hometown for OnStage Live! "What does it include? 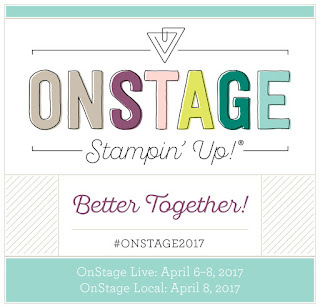 OnStage Live is two-and-a-half days of exciting Stampin’ Up! activities. Attendees will be the first to get their hands on the new catalog, see, touch, and make projects with new products, hear company announcements from the corporate team before anyone else, and get a chance to network with other Stampin' Up! demonstrators. You'll even be able to participate in a Product Purchase Premiere--which means that you can order from a selection of new products before anyone else!" I'm excited for this weekend and REALLY looking forward to November! Here's the thing, I have limited space available, so you've got to RSVP quick! You can do so right here or click here for more information. 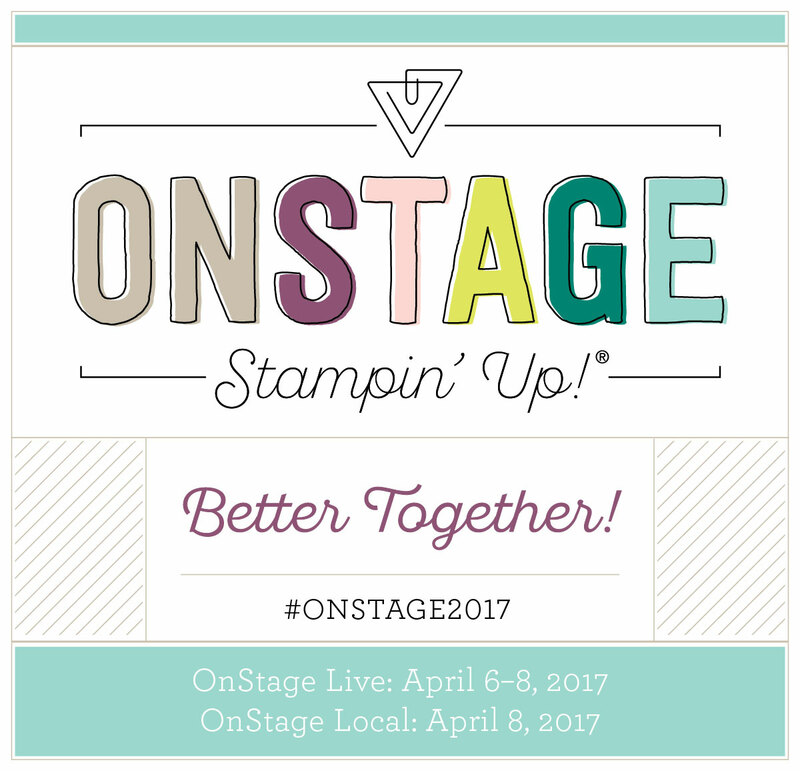 I hope to see you at the OnStage Recap! I can't wait to share all the new product, a NEW Stampin' Up! 2017-2018 Catalog and MORE with you! Labels: Catalog, Live Event, New Product, Red Hot Stampers, Retreat, Stamp Camp, Stampin' Up!